A dog will cheer you up when you’re sad, make you smile no matter how tired you are, make you feel like the most important person in the world, and listen to all your secrets and never tell a soul. A dog will be happy to go where you go, on any adventure big or small, or to sit with you at night while you read or watch TV and be your best friend, through thick and thin. Lady Gaga and Mickey are two familiar faces around Cinderella since they’ve been with us a while. They’re being featured this week in hopes that a special someone will see their pictures and know that this is the dog for them. Lady Gaga is one of the most gorgeous dogs you’ll ever see, with a perfectly marked face and very expressive eyes. 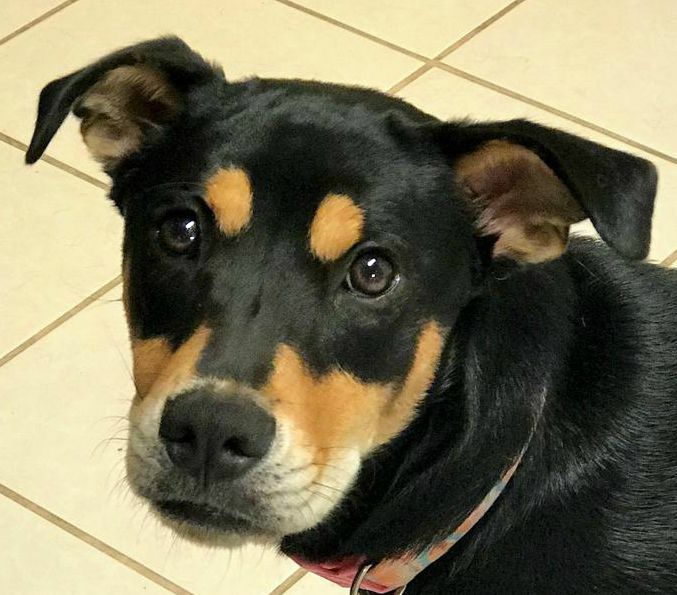 She’s a little bit shy at first but warms up to new people quickly, as soon as she knows she can trust you. She’ll be two years old in October, and is hoping to celebrate her birthday in her new home. 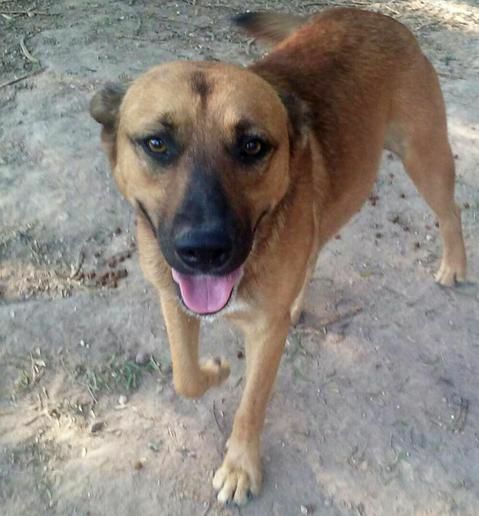 She’s very affectionate and playful and gets along well with other dogs of all sizes. She even does fine with cats! This pretty lady loves nothing better than a dip in her kiddie pool, whenever she gets the chance and, since she loves the water, she’s very easy to bathe. Mickey is a male who’s a bit older and larger than Lady. He’ll be six years old in September and he thinks it’s time that he finds a home of his own, complete with a loving family to shower him with love and attention. He’ll reward you with years of devotion and companionship. He has one floppy ear and the other stands up, which gives him a devil-may-care, dashing appearance. He gets along well with other dogs and would be willing to share his humans with his canine housemates. Either of these great dogs would make a super pet. Won’t you consider making their dreams of a forever home, of their very own, come true? Call Suzanne at (956) 391-4399 for more information on Lady Gaga, Mickey, or to inquire about the many kittens we now have available, or stop by Petsmart, 7600 N. 10th, McAllen, to check out the cats we have available for immediate adoption. For information on our other dogs and cats, check out our website at www.cinderella-pet-rescue.org. Cinderella Pet Rescue is a non-profit organization, staffed by volunteers, dedicated to rescuing abused or abandoned dogs and cats, and finding loving forever homes for them. We believe that every pet deserves a chance at a happy home and we hope that you will help us find those homes for the animals in our care. Donations are always needed and may be made securely via Paypal on our website. All of our dogs and cats are already spayed or neutered before we place them. Please help us solve the pet-overpopulation problem: Spay or neuter your pets!